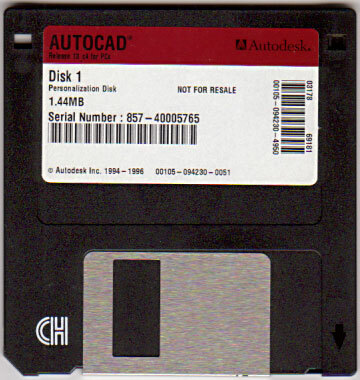 From memory, this was the first version of AutoCAD delivered on CD, however, it still required a floppy disk to complete the install. 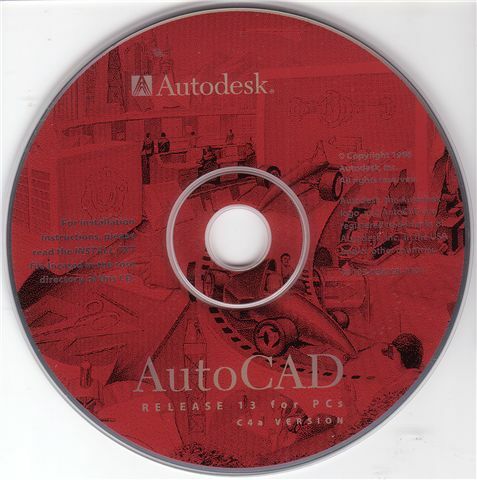 Note that this is the European version of AutoCAD R13 and so you will see the word "Locked" on the CD. A hardware lock or "dongle" was required for the software to work. The lock was attached to the PC's parallel port. Also note that this is the "C4" version of R13. 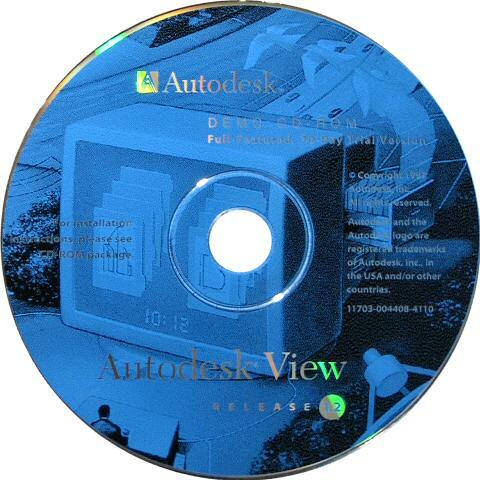 This release of AutoCAD was buggy and there were a number of updates. 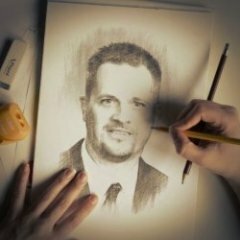 I think your are right about the CD offering. This particular media is version C4A, which is the equivalent to Service Park 5. Also, this media disc contains both the DOS and Windows versions. Here is an R14 CD. Windows 95 or NT required, along with a 486 and 32MB ram. Here is a special CD that most people will not have seen. 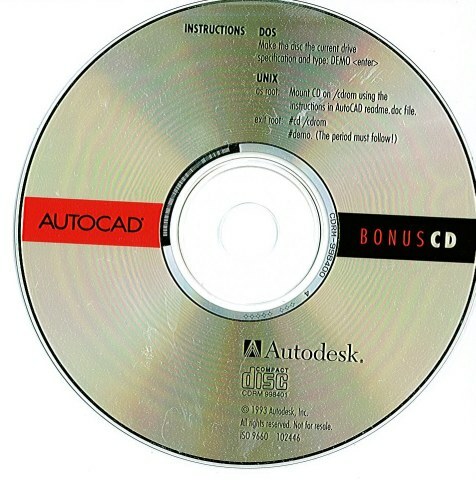 This is AutoCAD Map 6 (r2002 I believe) shipped on a special disc from Carlson Software. 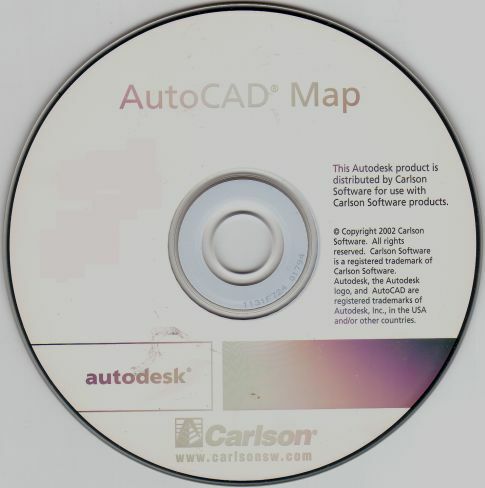 Carlson is a UAR and was able to burn AutoCAD and AutoCAD Map CD's as they were sold to customers purchasing Carlson Software. This way they could ship the product the same day it was ordered instead of having to wait on the shipment of AutoCAD from Autodesk. This is a UK version of the R14 media. Unlike the American version shown above, this CD is "LOCKED", meaning that it can only be used with a hardware lock, attached to the computers parallel port. This particular media is release 14, version 14.01. 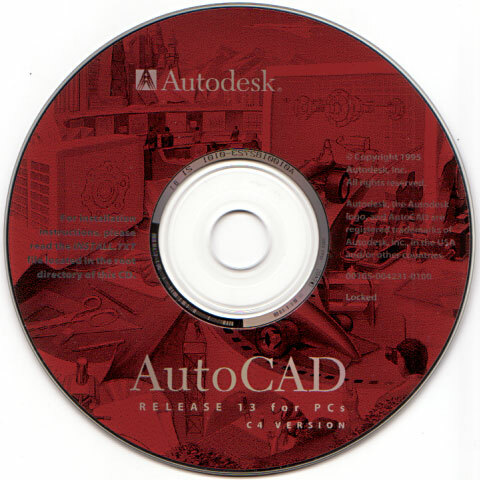 I can't remember what the bug fix was but this version of AutoCAD went on to become a classic IMO. Partly due to the fact that R13 had so many problems, Autodesk really had something to prove with R14 and they just about pulled it off. 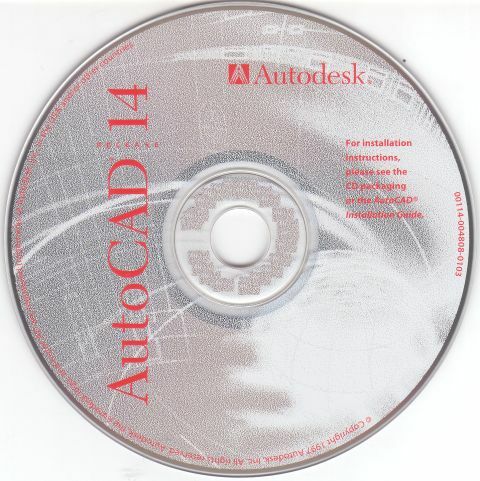 AutoCAD R14 was a hard act to follow, but AutoCAD 2000 was, in many respects, what we had been waiting for. Although R14 was very popular and didn't come in a DOS version, it wasn't really a good implementation of a Windows application. 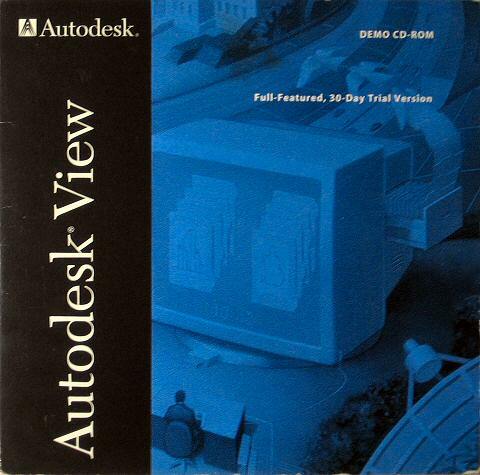 Autodesk put a lot of the effort for the 2000 release into making it work and feel integrated with Windows. 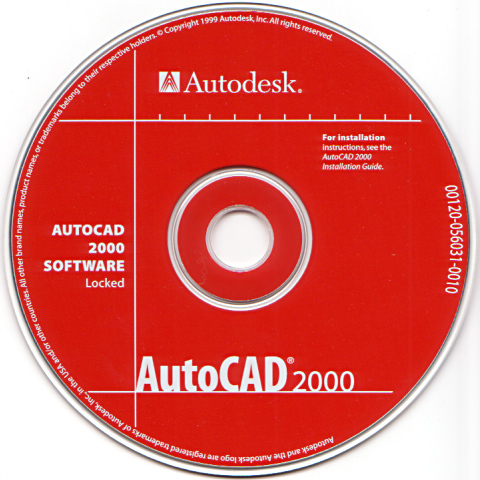 Largely they succeeded and this was the first AutoCAD that actually looked like a "modern" application. 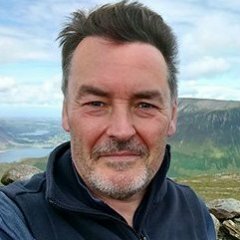 Once again, this is a "Locked" UK version of the media. Geez, im feeling old now. i remember all of those dics. 14.01 was pretty "stable" compared to 13 and many kept using it untill 2002 was released as 2000 & 2000i had issues also. 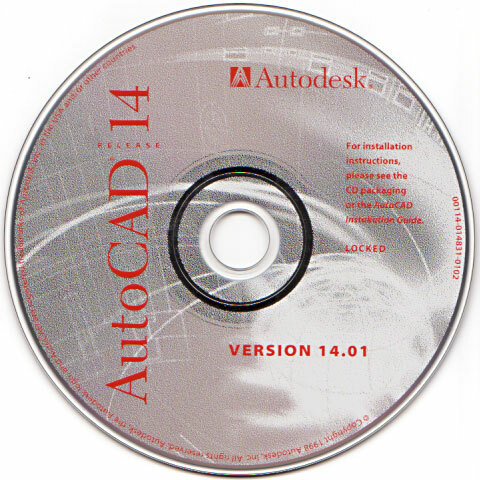 i remember when i went from using version 11 at my x girlfriends work to using autocad14 and though "geezuz, how am i going to remember all these icons"
I can't remember what the bug fix was but this version of AutoCAD went on to become a classic IMO. Full-Featured, 30-Day Trial Version. DEMO CD-ROM from 1997. 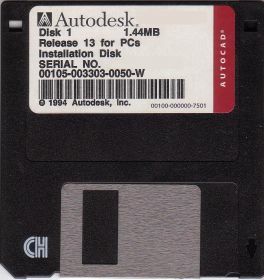 .....i remember when i went from using version 11 at my x girlfriends work to using autocad14 and though "geezuz, how am i going to remember all these icons"
Was it R12 that had the first Windows environment? Yes, that's on a 1.2 MB 5.25" floppy!!! No, I don't still use it, but I have all the "pieces" that came in the box direct from Autodesk: the 3 red/black/white boxes full of manuals and books, the tablet template, all floppies of both the original Rel 12 and the upgrade of 12c2. All are still in perfect shape, too. I had bought it back in Sept 1992 and used it all through architecture school. what was the cost of an original acad back then? was it always very expensive? Here is some more info and photos. That's cheap. Here in Australia it has been around $8000 for the last as long as I can remember. And that's with an 80% conversion rate. I found my old R14 the other day but I can not remember what the password is to install the program. Does anyone remember what it was? Please help me if you can.